Florentine Films | Sherman Pictures - Roger Sherman’s films have won an Emmy, a Peabody, a James Beard Award, and two Academy Award nominations. His subjects include art, history, science, social issues, the environment, and food. 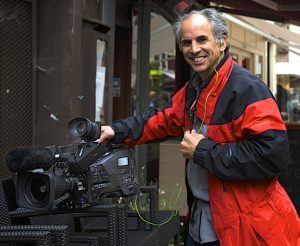 Roger Sherman’s films have won an Emmy, a Peabody, a James Beard Award, and two Academy Award nominations. His subjects include art, history, science, social issues, the environment, and food. He recently was honored by being named to the Forward50, Jews who have influenced American culture. An extraordinary film biography, perhaps the best ever produced in the American Masters series.